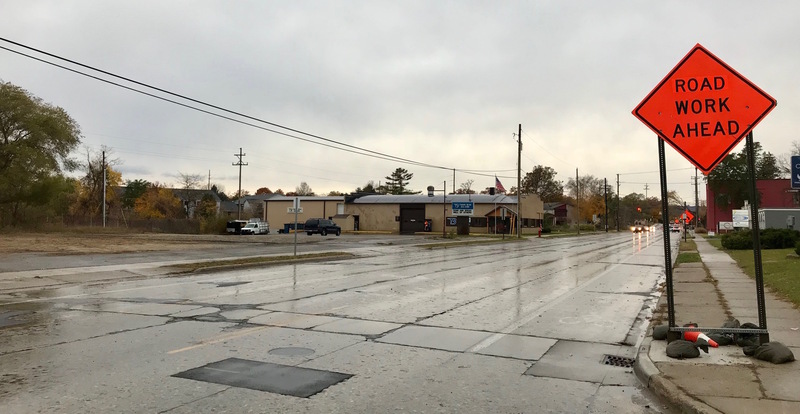 As road construction projects continue on Eighth Street in preparation for next year’s anticipated complete reconstruction of the roadway, city officials are simultaneously pursuing changes to development rules they hope will encourage business growth in the corridor. Traverse City commissioners will vote tonight (Monday) on approving new rules that will change the allowed heights and setbacks for buildings along Eighth Street, among a handful of other city neighborhoods. The affected districts would include the Ironworks/Midtown area (D-1) along Eight Street, Lake Avenue, and Cass Street, the “Depot” section of Eighth Street on the road’s south side between Boardman Avenue and Railroad Avenue (D-2), and the so-called “Red Mill” area along Hall Street bordered by Front Street, Gillis Street, and Grandview Parkway (D-3). Current city rules ban buildings taller than 45 feet along most of Eighth Street if they’re within 100 feet of the roadway. The new proposed ordinance increases that allowed building height to 60 feet. But the new rules also change the setback depth of buildings to make them feel less oppressive: The part of the building over 45 feet tall would have to be set back at least 20 feet from the front façade, a change from the previous setback of 10 feet. That deeper setback will help buildings feel less monolithic and imposing to passersby, according to city staff. Under the new rules, buildings along Grandview Parkway would still be limited to 45 feet tall within 100 feet of the road to protect views along Grand Traverse Bay. But buildings in all three districts could go as high 75 feet if they are at least 100 feet from the road, approved by city voters as required under Proposal 3, have a special land use permit, and are at least 25 percent dedicated to residential uses. “Residential uses” is strategic language that was used instead of the city’s old terminology of “dwellings,” according to City Planning Director Russ Soyring. “The term ‘dwellings’ has been replaced with ‘residential uses’ so that vacation rentals – which are a commercial use – could not be used to obtain a higher building height allowance, or residential height bonus,” Soyring says. If commissioners approve the new rules tonight, the changes will go into effect November 15. The amendments follow an earlier package of rule changes for the three “D” districts that were approved by commissioners effective September 14. Those changes included increasing front-yard setbacks from three feet to five feet – providing more space in front of buildings for wider public sidewalks, tree lawns, benches, bike racks, and drinking fountains – and requiring buildings to be 25 feet from the water. A first-floor minimum height requirement was reduced from 15 feet to 14 feet to help reduce construction costs, while off-street parking requirements were eliminated for properties within 500 feet of a transit center (the entire Red Mill district is located next to BATA’s transit center). Further changes could also be on the way for Eighth Street: A committee of the city planning commission is meeting regularly to review a potential “form-based” zoning code for the corridor. Unlike traditional zoning codes, which focus on what types of uses are allowed or disallowed in buildings, form-based codes focus on the physical design and appearance of buildings themselves. “It’s a new, rather novel way that communities are starting to look at development,” Soyring previously told The Ticker. The committee has been discussing elements of Eighth Street ranging from building types to streetscape standards – including landscaping, trees, and lighting – and will have their next meeting Wednesday at 1pm at the Governmental Center. The group is expected to issue a report with recommendations to the planning commission in the near future. > City commissioners will consider joining a class-action lawsuit against companies accused of price fixing on liquid aluminum sulfate (or alum), a chemical used for treating drinking water. The city has spent approximately $150,000 on alum and would file a claim with the U.S. District Court in New Jersey, where the case is being heard. 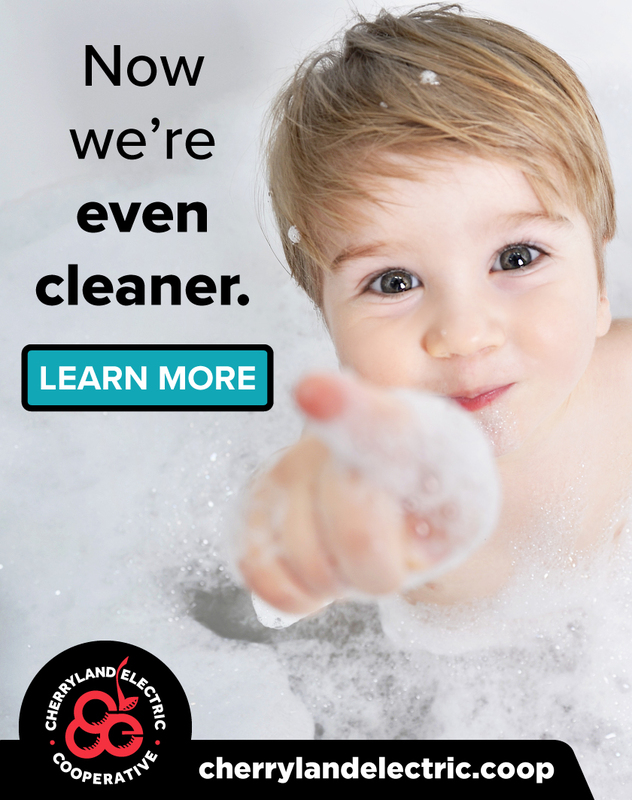 “To be clear, the basis of this lawsuit is price fixing between suppliers of alum and not any aspect that calls the quality or health concerns of the product into question,” says City Attorney Lauren Trible-Laucht. > The organizers of Up North Pride are seeking approval to hold a public celebration in the Open Space on Saturday, June 22, 2019 as part of Pride Week. The celebration, proposed for 7pm until midnight, would take place immediately following Up North Pride’s annual Visibility March that would lead from F&M Park to the Open Space and is expected to attract 5,000 attendees. The group is seeking permission to host food trucks, alcohol sales, a handful of carnival rides, and music in the park. Because National Cherry Festival set-up begins two days later, the group is proposing to leave its tents and other infrastructure up from Saturday to Monday so the Cherry Festival can use them afterward. Up North Pride is also seeking a 30-minute sound variance on Friday, June 21 to have live music outside of the Little Fleet until 10:30pm for a drag party event. > Finally, commissioners will consider approving a $23,475 contract with an electrical company to complete last-minute site improvements at Hickory Hills Ski Area in order to keep the park project on track. An injury incurred by a city parks employee required the staff member to go on leave, delaying the city’s ability to install wiring for a snow-making system and lighting at Hickory Hills. The contract with 45th Property and Power will allow the improvements to be completed before winter, with funds available for the contract in the project’s contingency fund.